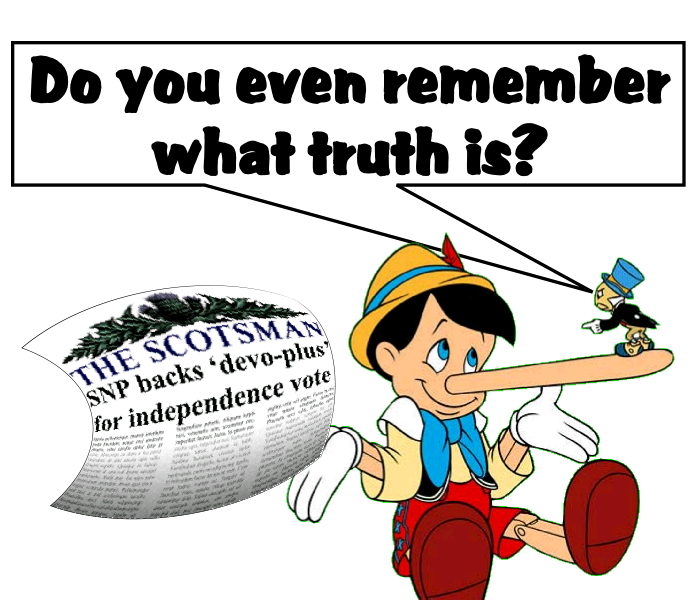 I guess we've all grown accustomed to the lies and distortions that the media pump out on behalf of the anti-independence cause. And The Scotsman has surely established a claim to the title of champion in this scurrilous contest. But this former bastion of journalistic propriety has moved into a league of its own with today's gobbet of bare-faced mendacity. Credit where it's due. The Scotsman has demonstrated a certain versatility. Already notorious for it's endless stream of "SNP accused...!" and "Salmond accused...!" headlines, the people Johnson Press employ instead of journalists appear to have decided to break new ground. But so casual is the dishonesty of the British nationalist propaganda campaign that the article beneath the headline doesn't even attempt a pretence of trying to justify the claim. It is not merely a lie. It is a proud lie. It was always inevitable that the anti-independence parties and their media lackeys would seek to use the Megrahi affair as a stick with which to beat the SNP, and Justice Secretary Kenny MacAskill in particular. The only surprise is that it has taken them so long. 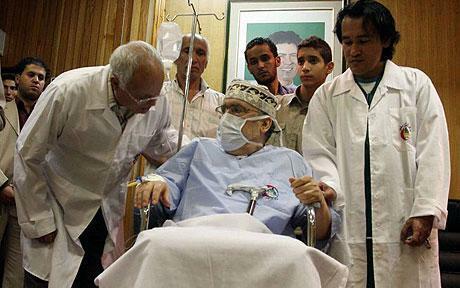 What has roused them to resort to this line of attack is a snippet from the newly-published biography, Megrahi: You Are My Jury, by writer, researcher and TV producer John Ashtonk which claims that MacAskill urged Megrahi to drop his appeal against conviction for the Lockerbie bombing in return for favourable consideration of his application for release on licence on compassionate grounds. It turns out that this allegation is based on nothing more worthy or reliable than second- or third-hand hearsay. But that hasn't prevented the SNP's enemies pouncing on it as if it was gospel. I have been known to remark on the evident willingness, not to say eagerness, of anti-independence propagandists to make themselves look foolish for the sake of their cause. 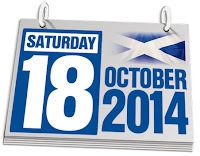 The current frenzy of faux outrage, fan flapping and fist shaking over the suggestion that the referendum date might be Saturday 18 October is a case in point. As ever, The Scotsman is among the worst culprits - Scottish independence: Thousands of Scots may miss vote over UK’s future. So what's all the fuss about this time? Only the possibility that if the date is as claimed by The Sun then this might mean that some schools in certain parts of Scotland will be on holiday at the time. One thing is abundantly clear from all the comments I've read around the web about the purported day/date of the referendum. It is almost certainly impossible to find a day/date that will satisfy everyone. And it is likely that approximately the same minimum proportion of the electorate will be dissatisfied no matter what day/date is chosen. On this point, I would say just one thing. Voting is a right and a responsibility. 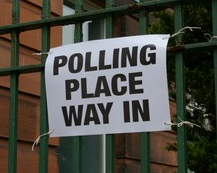 While the government obviously has a duty to do everything in its power to facilitate access to the democratic process and strive to ensure the highest possible turnout, it seems to me that some people would not be satisfied unless they were able to vote in the comfort of their own home at a date and time which they have selected such that it doesn't in any way impinge on their lives or cause even minimal inconvenience. 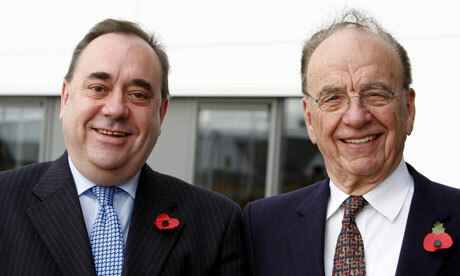 All this fuss about Murdoch is getting quite ridiculous. So he isn't a blend of Bob Geldof and Stephen Fry! Cuddliness and loveability are not exactly defining characteristics of your average global media magnate. But neither is he the corporeal manifestation of unalloyed evil that some would have us believe. He's just a businessman! And Salmond is a political leader. A very successful political leader. Dealing with the likes of Murdoch goes with the territory. A large part of the secret of Salmond's success, and his popularity, is his ability to combine hard-headed political pragmatism with a canny awareness of where the line is. If he can use Murdoch to further the cause of independence then all strength to him. To assume that it is Murdoch who is doing the manipulating is to seriously underestimate Oor Eck. The Scottish Sunday Sun launched today with a front page "exclusive" declaring that the date of the referendum on Scottish independence will be Saturday 18 October 2014. There is no official confirmation of this from the Scottish government as yet - but no denial either. If it is a guess it would appear to be an informed one. 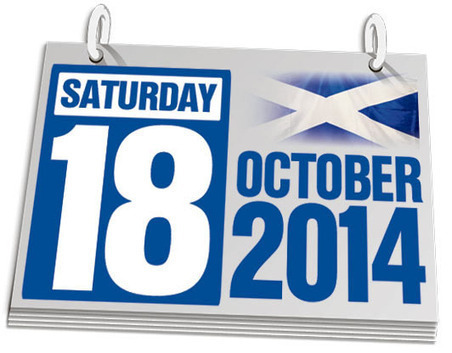 Even an unofficial announcement of the date such as this will inevitably be seen as yet another put-down for Cameron, Moore and the rest who, in an attempt to look as if they are in control, have been demanding that the referendum be held a year earlier than proposed by the Scottish government. Such casual disregard for their interventions only serves to underline how ineffectual and powerless the UK government is, while bolstering the impression that Salmond is calmly and efficiently steering events as he and his team see fit. 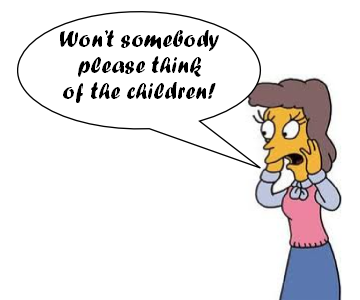 The media leapt upon SSE's submission to the Scottish Government's referendum consultation with a gleeful zeal such as to make the feeding frenzy of particularly rapacious sharks look as decorous as high tea at your granny's house by comparison. But was there really anything to get so excited about here? What did SSE actually say that was so newsworthy? Did they say anything to justify the sensationalist headlines? Writing in The Herald, Iain MacWhirter asks whether a single, commonly acknowledged and generally accepted leader might emerge for the unionist cause. It has to be very doubtful indeed. Such a leader presupposes a single clear idea on which to campaign. And the only such idea that seems to have any currency among British nationalists is a near-fanatical obsession with preserving the union at any cost. That so many in the anti-independence camp now seem prepared to compromise on that "line in the sand" of which Ruth Davidson spoke seems to suggest a growing realisation that an intransigent insistence on the status quo is a loser and that compromise is required if Scotland's secession from the union is to be prevented. What is perhaps most striking about the attitude of the anti-independence Tory/Labour/LibDem coalition is not so much the blatant hypocrisy and disdain for inclusive democracy as the fact that they simply don't care that the public perceive them as hypocrites who pay little more than lip service to the fundamental principles of democracy. It is often observed that modern politicians are obsessed with image to the exclusion of substance. So how do we explain the evident disregard for negative public opinion that seems to characterise the old parties? Could it be that they are oblivious to the way in which they perceived? This is certainly possible. Politicians, especially the more senior ones, tend to live in a bubble of sycophantic hangers-on who see their role as being "supportive" to the point where even the most constructive criticism is avoided lest it be denounced as disloyalty.